Around this cute little space of the interwebz, I love to talk about fresh starts. I love the fresh start of the new year, the fresh start of Mondays, and the fresh start of each new day! But you know what else I love? The fresh start that comes with Spring. Spring is a time of blooming flowers, new vegetable gardens, fresh grass, and little baby leaves on trees. It's a time of pristine, mild, and crisp air. It's a time of allergies, which only means that flowers are being pollinated so that more beauty will come. But you want to know one of the most beautiful things about Spring? It is a vivid testament to what God has done and is doing in the hearts, minds, and lives of His followers! Spring is a time of coming out of the cold, fa-reeezing winter darkness, and into the warmth of the light. In the same way, becoming a Christian means that we are brought out of the darkness of our sins, and into the light of Christ. 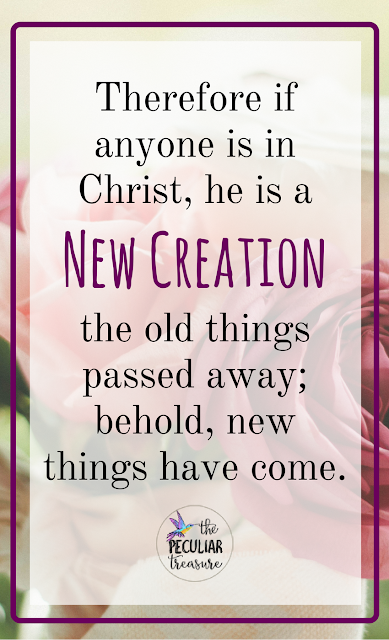 2 Corinthians 5:17 tells us that if we are in Christ (saved, redeemed, followers of Jesus) then we are a new creation. And honestly, even though I've seen lovely pictures, paintings, and tracts depicting Christians as a beautiful butterfly that has emerged from it's cocoon, I am still far more enamored with the metaphor of Spring newness being like the new birth of a Christian. Interestingly enough, the metaphor doesn't stop there. It actually extends on into our lives in a deep and impactful way. You see, God is constantly at work in the lives of His children (Phil. 2:13), even after we have come into His family. 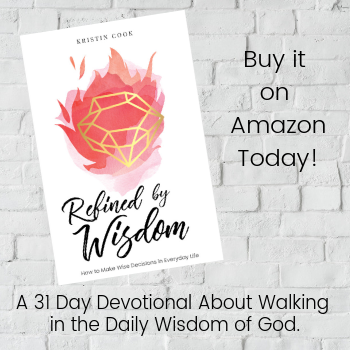 He works on us and helps us become who we were created to be, and He works in our lives to work all things, even the really tough things, for good (Romans 8:28). And just like the Spring comes after the long, harsh winter, growth, maturity, strength, and joy come after a long, tumultuous trial. See, once we are saved, we are constantly being molded more and more into the new creation- the peculiar treasure- we were created to become. Our dry, dead, barren lives are constantly becoming more full, alive, rich, and, you guessed it, NEW. And just as winter isn't made (in most places) to last forever, neither are our trials, our dryness, or our struggles. The length and depth of our trials may vary, but God always has a plan of redemption for His people, and He always sets us free eventually (whether in this life, or the eternal one to come). Winter is only a season. Spring is bound to come. 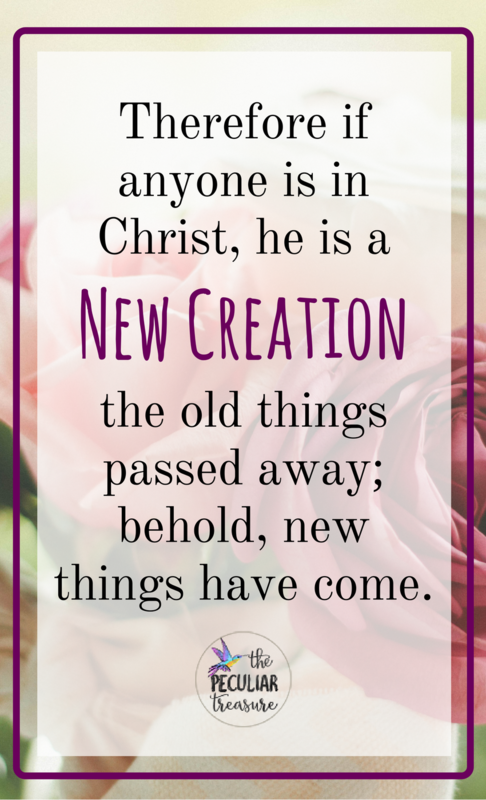 So if you are a new Christian, know that you are a beautiful new creation. You are blooming, you are budding, and you have the potential to thrive just like the Spring season. If you have been a believer for years, know that you are still being made new every day. 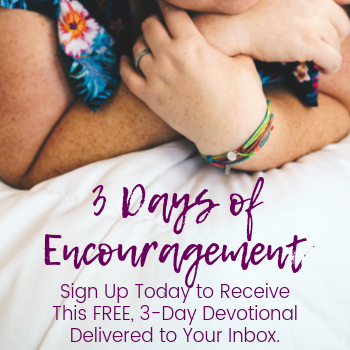 God doesn't give up on you, so don't you go giving up on yourself, kay? And if you are not a follower of Jesus, know that you can be. You can experience the newness of Spring in your own soul, and have a Redeemer who will never leave your side. Want to read more posts about Spring? I have joined in with a couple of other wonderful ladies to do this post. 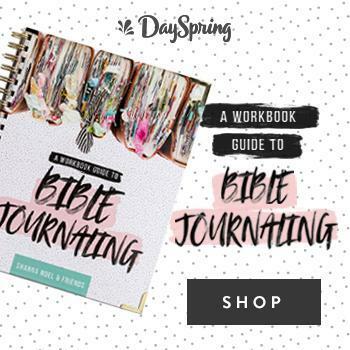 If you click the links below you can check out their Spring posts too! I LOVE this perspective! It's perfect since Easter is in spring and that is the most powerful thing in our renewal. Kristin, I think you and I are similar in that we see God in nature! Spring is such a beautiful testament to God making things new, with Easter coming shortly after! I love the optimism in this piece and how God uses each season to show us something about Himself and His plan. 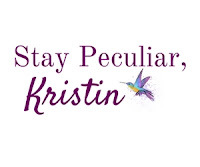 I love this, Kristin! It's so easy to forget, especially as Christians, that we are stuck as the "same ole me" when we are truly made new everyday thanks to the blood of Christ. I love Spring for it's daily reminder that all things will be made new! Kristin, this is such beautiful encouragement! We are made new and we are made to bloom and blossom! I love it! Spring is always so hopeful and encouraging - just like your post! I love how you talk about the winter of stress melting away. 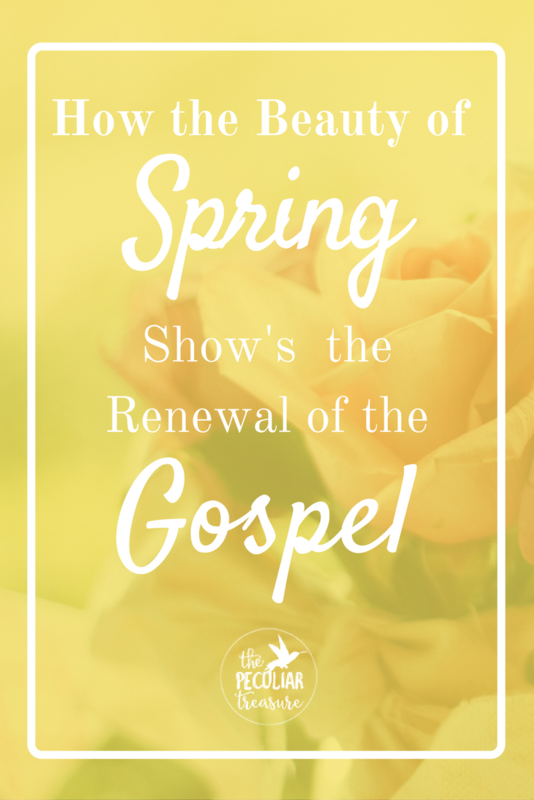 The newness of everything during the Spring season is such a good reminder of the renewing power of the gospel. I love Spring and Summer best anyways---but I remember positively not being able to stop myself from dancing for joy once I saw that new flowers were springing up in Michigan after a long winter! This was encouraging, especially as I'm exiting a "winter" season in my life. 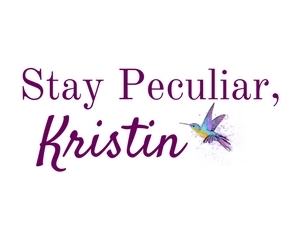 I love this, Kristin! I love spring for all the same reasons you mentioned and you put it into words so beautifully. Beautifully written! I too see God in His beautiful creation and am in awe at just how many varieties of flowers he has made all over the earth! It's astounding. What a beautiful reminder. My husband and I are (I hope!) coming out of a season of trials that at times seems like it will never end. Thank you for this encouragement. It's like Jesus' resurrection and how we follow in His death and life. I LOVE the metaphor in this. 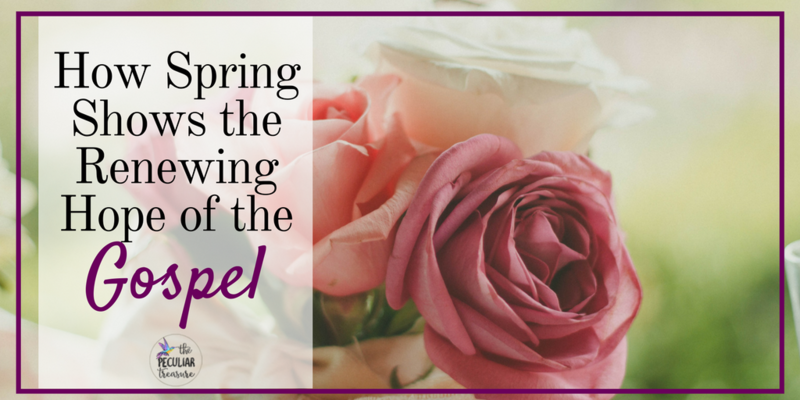 We feel dead at times, but Jesus renews our hearts to bloom! Spring has always been my favorite season and I always feel so close to God in nature so I definitely see signs of His Renewal!